Love my new jars. I use them for meal prep mostly. They hold up well in microwave, no problems in dishwasher, no rust on tops. These lights are great! I purchased 2 sets for my yard and a set for my step daughter. She loves them too! I did have an issue with one of the lids as it stopped working. I fiddled with it but gave up and let the seller know. They are sending me a replacement! Great customer service on this product too! If you like a rustic, down home feel, you'll like these lights. 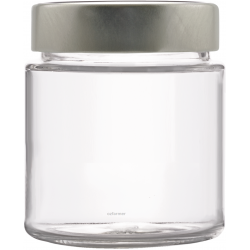 Remember you need REGULAR mason mouth jars for these lids to fit. You can also use jelly jars (I tried them in a quilted jelly jar and got an entirely different look). These are great! They are the perfect size for overnight oats and fit in my cooler bag quite easily. I made Christmas (Thank you for coming) jars. Filled them with 1 string of fairylights, loaded with silver chocolate kisses and loosely tied a couple bells around the top! Once they are done with the chocolate, they can remove the bells and have a great center piece for an outside summers eve, or ambient lighting anytime during the year. I use these Mason Jars for lots of things. Making fruit jelly for my yogurts and using the jars to keep it in. Chopping onions, garlic with salt and olive oil in a food processor and placing it in these jars in the frig, so when I cook it's all ready for me no need to cut and then cook. This is just a few things I use them for. I am in the process of starting a new diet called Ketogenic Diet. I needed to find some mason jars. The packaged arrived on time and securely packaged. The size was just what I was looking for. I am ready to start fermenting foods and making things homemade. 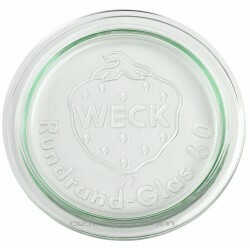 This product is highly recommended for preserving foods. I use these for my smoothies and green drinks and absolutely LOVE them. They are easy to transport, easy to clean -- GREAT BUY! These jars were just what I was looking for when I was planning a baby shower. I painted the outside of the jars with chalk paint. Then I sanded them lightly and added a jute rope around the top for texture. Finally, I put flowers in the jars and used them as decoration and as a party favor to take home.